I have written extensively about the existence of asset bubbles. The topic is of critical importance as their widespread existence precludes the possibility of Sustainable Prosperity. This entry was posted in Bubbles (Asset), Sustainable Prosperity and tagged asset bubbles, Sustainable Prosperity on September 13, 2010 by Ted Kavadas. I find the above excerpt interesting and notable. While I don’t necessarily agree with ECRI’s current forecast or economic interpretations, the concept of Sustainable Prosperity is one that I have frequently written of, and it is imperative that we, as a nation, should consider our longer-term economic plight as we seek to improve our current economic condition. This entry was posted in Economic Forecasts, Sustainable Prosperity and tagged commentary on ECRI, economic forecasting, Sustainable Prosperity on June 23, 2010 by Ted Kavadas. On April 8 I commented upon William C. Dudley’s “Asset Bubbles” speech. In that speech, he refers to Frederic Mishkin’s speech of May 15, 2008. It should also be noted that Mishkin offered similar thoughts in a Financial Times op-ed of November 9, 2009. This “mindset” seems to be prevalent now among policy makers. I believe this overall “treatment” of bubbles is frightfully perilous, has already created immense damage, and will end very badly. It appears as if not only are we (as a nation) downplaying the risks of bubbles, but also are continually unable to identify their existence. This entry was posted in Bubbles (Asset), Sustainable Prosperity and tagged asset bubbles, bubbles, Frederic Mishkin on April 25, 2010 by Ted Kavadas. Alan Greenspan recently gave a lengthy video interview on Bloomberg. A short summary is found at this link; the actual video is the first listed near the bottom of the article. I found the video to be most interesting. Greenspan elaborates upon his recent “The Crisis” paper, which I mentioned here. As well, he discusses many other issues. I believe this to be the most notable of all of Greenspan’s famous phrases. I think we are seeing a blossoming – not of “finance”, but instead of (hyper)bubbles. I think there are many bubbles of severe magnitude throughout the worldwide economy. I have previously written of these bubbles in a variety of posts. While it may be pleasant to ignore the existence of bubbles, and downplay the potential significance of their bursting, I believe that the existence and prevalence of bubbles in today’s worldwide economy is perhaps the largest threat to achieving Sustainable Prosperity. This entry was posted in Bubbles (Asset), Sustainable Prosperity and tagged Alan Greenspan on March 29, 2010 by Ted Kavadas. The four purported bubbles mentioned in the article are Gold, oil, the stock market, and Treasuries. I have discussed each of these markets, with the exception of oil, in previous posts. I found the logic and discussion in the article interesting, although I did not agree with various aspects of the article. I especially disagree with the logic about housing, for reasons I have recently written about. It is very important for investors to understand whether the markets they are investing in are indeed experiencing bubbles. My previously written posts are found under the “Bubbles” Category. Of course, the existence and prevalence of bubbles also has massive ramifications for the economy, especially when viewed from the standpoint of Sustainable Prosperity. This entry was posted in Bubbles (Asset), Investor, Sustainable Prosperity and tagged asset bubbles on March 9, 2010 by Ted Kavadas. Given the incredibly outsized intervention efforts in the residential real estate market, I think it is important to examine some dynamics of the real estate bubble. As others have commented, it appears as if the overall intervention efforts are aimed at reflating (or to re-inflate) the housing bubble. Conventional (investment) wisdom has held that reflating a burst bubble is impossible. However, I think given the tremendously outsized intervention efforts in housing, we are truly in a unique situation. I don’t believe there has ever been such a large intervention effort in our country, at least in the last 150 years. Depending upon how one would measure such intervention efforts, it might even be among the largest interventions in world economic history. A casual observer might assume that such an outsized effort would be destined to be successful. However, (economic) life is not that simple. 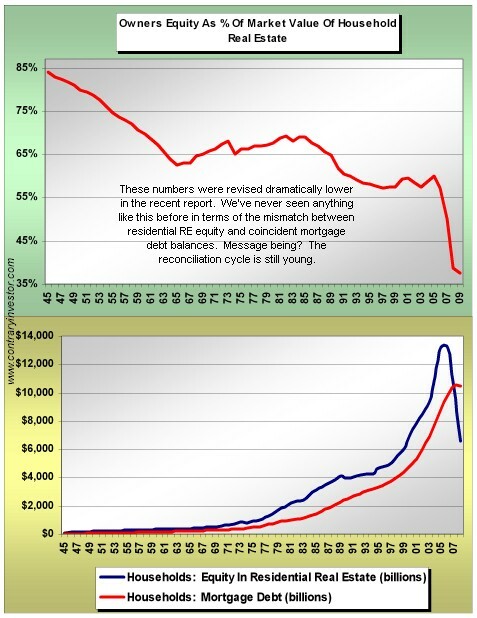 From an “all things considered” standpoint, I don’t believe the residential real estate bubble has actually burst. It appears to me that it has somewhat deflated. I base this view on a variety of fundamental and technical factors. Assuming this view is correct – that the residential real estate hasn’t popped – the implications are immense. I think it is likely that one of two possibilities will occur from here, and each could happen in a relatively rapid fashion. The first possibility is a “successful” reflation of the residential real estate market, with accompanying economic activity. The second possibility is a collapse of the residential real estate market with accompanying economic repercussions. As to the path real estate will travel from here – my previous writings on interventions, bubbles and real estate indicate my thoughts on the subject. If a “successful” relation occurs, one is led to wonder as to the characteristics of such a “successful” reflation of the real estate bubble. Among other critical questions is how long would such a reflation last? I think it very important to note the quality and durability of the economic activity that occurred in the first phase of the bubble, which peaked in 2006. Can one hope for any better outcome during a subsequent reflation? These issues are critical to the concept of Sustainable Prosperity, of which I have previously frequently commented. 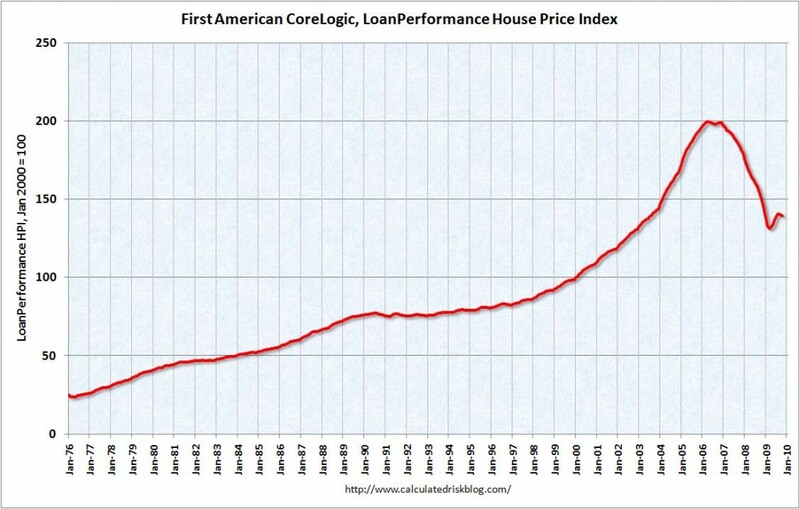 This entry was posted in Bubbles (Asset), Intervention, Real Estate, Sustainable Prosperity and tagged Intervention, Real Estate, real estate bubble, Sustainable Prosperity on January 8, 2010 by Ted Kavadas. One of the terms that I frequently mention is “Sustainable Prosperity.” I think the term and its meaning have tremendous significance to our economic future at this juncture. Providing an exact definition for the term is difficult due to the complexity of the underlying concepts. “Sustainable” can be defined in terms of time, as well as continuity. If a posititive economic trend exists for a few years, can it be termed ‘sustainable’? 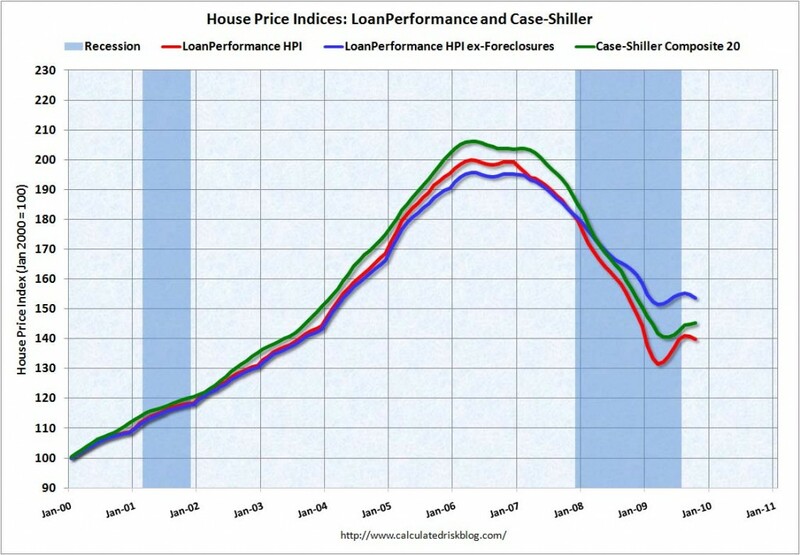 Case in point was the housing bubble. Most would say it lasted between 5 to 10 years. The economy certainly benefitted from it. However, the benefit was not sustainable. In fact, in its wake, it has caused an immense amount of damage and poses a tremendous ongoing threat. From a continuity standpoint, in order for growth to be sustainable it has to be resistant to severe economic setbacks. Of course, history has shown that recessions, panics, and the occasional depressions are inherent in the economic cycle. However, if economic growth is sustainable in nature it should over the course of time be able to recover “lost ground” and attain new highs. The concept of “Prosperity” is somewhat difficult to define as well. I like to think of it as being multifaceted and having deep “breadth.” Of particular concern should be enrichment that is narrowly achieved, i.e. a large amount of the nation’s prosperity concentrated in the hands of a few. This is a concern from both a societal and economic standpoint. Strong, vibrant, and sustainable economies have widespread prosperity. Other aspects of “Prosperity” is the amount and composition of such. If median household income is growing at a rate greater than inflation, can that be termed prosperity? Can prosperity be defined in GDP growth? Or is prosperity a more general term that encompasses such concepts as standard of living, the ability for the masses to have affordable access to healthcare, higher education, etc.? As aforementioned, I believe that the concept of Sustainable Prosperity is more important now than ever before. If one assumes, as per the current economic consensus, that we are experiencing economic recovery, I think it would behoove us to constantly assess whether we are experiencing true “Sustainable Prosperity” or something that might only resemble such. This entry was posted in Sustainable Prosperity and tagged Sustainable Prosperity on December 30, 2009 by Ted Kavadas.